Founder’s Square is downtown like you remember it. It’s a place where friends meet for coffee, children play in the park, people walk their dogs and neighbors greet each other on the way to the gym or the office. You know the shopkeepers there and they recognize you by name because they’re your neighbors, too. In the evenings and on the weekends, downtown is the place you go to hear great jazz in the band shell on the green, enjoy a fine-restaurant meal at Table & Tap, buy fresh fruits and vegetables from the farmer’s market or shop for special gifts. There’s always something interesting happening downtown that keeps you coming back. This is Founder’s Square at Babcock Ranch, the heartbeat of the world’s first solar-powered town located 20 minutes east of Fort Myers. Best of all, you don’t need a car if you live at Babcock Ranch. That’s because you can walk, ride your bike and one day hitch a ride on an autonomous vehicle that will zip you to Founder’s Square. It’s part of the idea that sustainable development will be beneficial for the environment. 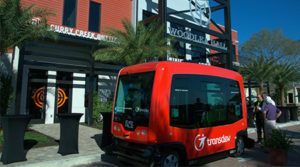 Neighborhoods will be connected to Founder’s Square via 50 miles of interconnected trails, so there’s no need to drive. Indeed, it’s not far-fetched to say everything at Babcock Ranch is at your doorstep. The calendar for Founder’s Square promises to be packed full of events, gatherings and entertainment for the entire family. 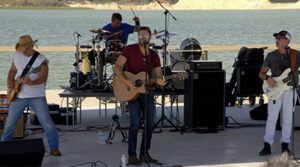 For example, you might enjoy Babcock’s concert series as the sun sets every Tuesday and Saturday or enjoy buying freshly grown vegetables and fruits at the farmer’s market in the middle of the week. On Wednesdays, the Ranch Runners meet each other at 6:30 a.m. for a brisk training run through the neighborhoods to get the day started right. Some might prefer to get up a little later and join the cardio-jazz class at 9:30 a.m. or the strength-conditioning class before lunch at Table & Tap. While the kids are playing basketball, moms can enjoy yoga with friends on the green. Those who feel more adventurous can practice their poses on a stand-up paddleboard on Lake Babcock. Dogs will be a big part of life at Babcock Ranch, too. 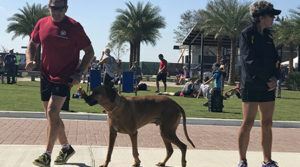 You can walk to the dog park at Founder’s Square, where your pooches can cavort with their furry friends. Dog lovers will dig Pet Fest, a celebration of man’s best friend. Held on April 22 and many times thereafter, the free event will delight anyone who loves their pets. There will be doggie-dash time trials, an agility course, best-dressed pet and dock diving for swimming dogs. A grooming truck, a mobile veterinarian and a pet-adoption agency will provide on-site services at Pet Fest. Meanwhile, a petting area for kids with goats, alpacas, rabbits and a donkey will delight young children. Downtown life at Founder’s Square will be vibrant, like downtowns were meant to be. Rediscover town life at Babcock Ranch by visiting Woodlea Hall, the Sales and Information Center for Babcock Ranch or call us at 1-941-200-1527.